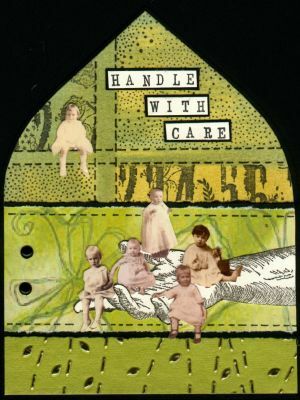 This week’s challenge at Gothic Arches is :::Hands:::. What do you think of when creating something with the :::Hands::: theme? Small children and their hands? hands praying? holding hands? whatever it may be…we would love to see your gothic arch creations here. http://herminesplace.wordpress.com/ to see more of her gorgeous creations. I live in The Netherlands. I am married for 17 years now and we have a beautiful son, who is our pride and joy. I have been creating all my life, even when I was little I always have been busy. And what I like the most is that this hobby connects people from all over the world. It is a treat to watch all that gorgeous artwork and meet so many sweet people. Ik woon in Nederland. Ik ben inmiddels alweer 17 jaar getrouwd en we hebben een prachtige zoon, onze trots. I ben al mijn hele leven creatief bezig, zelfs toen ik nog heel klein was, was ik al bezig met dingen te maken. Maar waar ik het meeste van hou is dat deze hobby mensen van over de hele wereld met elkaar verbindt. Het is altijd zo fantastisch om al die prachtige kunstwerken te bekijken en zoveel aardige mensen te ontmoeten. Here comes my enry. Thanks for looking. Lovely cards Sandy, thanks for your lovely comments on my blog. “Take a child by the hand. To take him towards tomorrow. To give him the confidence(trust) in its step. This one was definitely a challenge, but enjoyed it just the same. oh this is my favorite theme…. i love it! here is my hands arch thanx! Here is my ‘Hands’ arch for this week. Thanks for looking and for the lovely challenge. Here’s my arch for this week’s theme. As soon as I read the theme, I knew which image I had to use! Ooh – this was the hardest one yet (for me anyway). Fingers are part of the hand so I guess they’re allowed! I thought I had posted but obviously not. Think I am going mad today. This is my entry for this week!!! great theme!! thanks for it!! Here is my “Hands” arch-thanks for looking! I am late this week due to my trip to China, but I didn’t want to miss out, so here is my ‘hand’ arch.